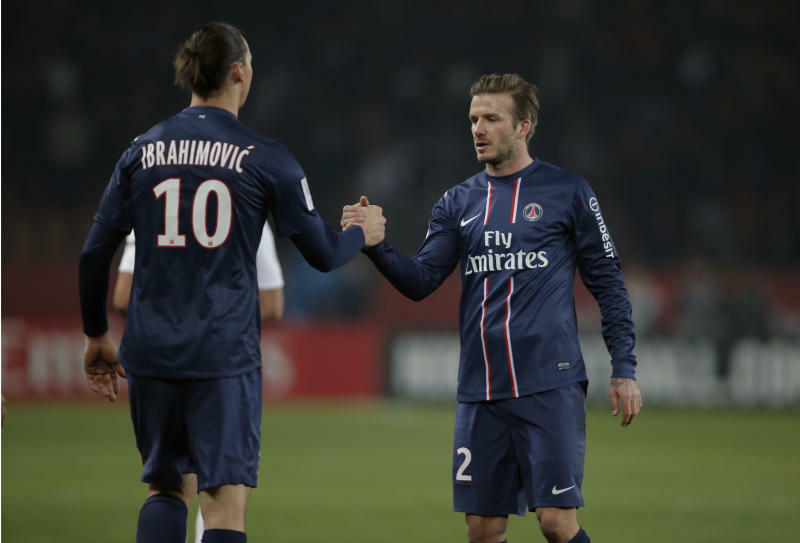 PARIS (AP) — David Beckham is back to full match fitness, just in time for Paris Saint-Germain. Beckham said he's ready to start in the club's biggest game in recent history when it takes on Barcelona in the first leg of the Champions League quarterfinal on Tuesday. "I feel great. I feel fit enough to start in every game," Beckham said. "Every player wants to play against the best players and the best teams." PSG has not played in the quarterfinals of the competition since 1995, when a 19-year-old Beckham was just breaking into the Manchester United team. That year, it beat Barca. After joining the French leader in January, Beckham has shown he can keep up at age 37. He made a solid impact as a substitute in Friday night's 1-0 home win against Montpellier, which moved PSG provisionally eight points ahead in the league. Coach Carlo Ancelotti has to decide whether the former England captain's experience will be more important than the quicker legs of his younger teammates. "Yes, he can play on Tuesday. There's no problem," Ancelotti said when asked if Beckham is fit enough. "He played very well (against Montpellier). He didn't play for long, but he brought his confidence and his experience to the team." France international Blaise Matuidi has been solid in central midfield and looks certain to start, but the lack of experience of 20-year Marco Verratti may be exposed against the four-time European champions. Midfielder Thiago Motta is working his way back to full fitness after more than three weeks out. 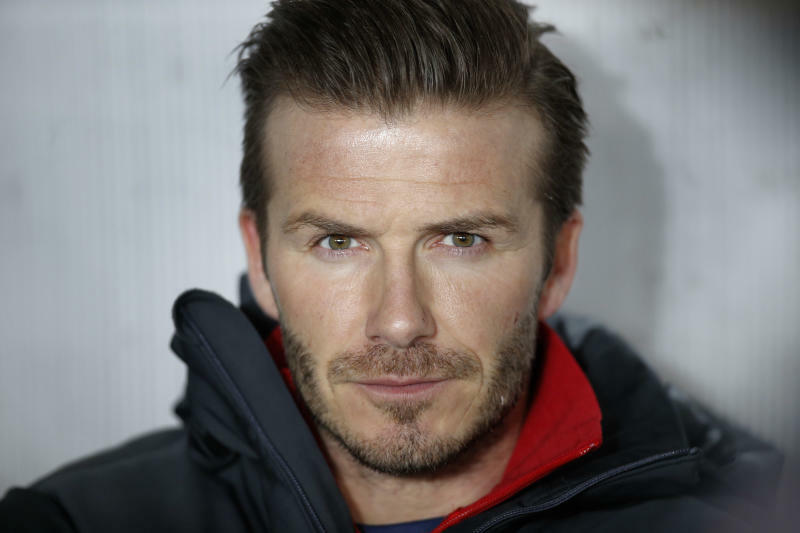 "It's about the manager picking the right side for the games," Beckham said. "If I can help like I did (against Montpellier) then great. I was obviously happy to get on and show some intensity, that obviously a substitute needs to show." PSG has spent close to $346.2 million on players since Qatari owners QSI took over the club in June, 2011. They're trying to build a team capable of joining Europe's elite. Beckham, who won the Champions League with Manchester United in 1999 and multiple league titles for United and Real Madrid, thinks PSG is on the right track. "This club has obviously got a lot of aspirations to go far in every competition. That's what big clubs think and big owners think," he said. "We've got the players, we've definitely got the mentality, it's just about doing it on the pitch and right now we're doing that, getting the wins." After two loan spells with AC Milan, Beckham may have thought the thrill of Champions League nights were behind him when he played in the bright Californian sunshine for the LA Galaxy. Now, at nearly 38, he has another chance. "It never gets old, and coming up against players like we're going to be coming up against on Tuesday is going to be special. Champions League nights are always special nights, and I'm excited to be part of it," he said. "Obviously, I've come up against Barcelona a few times for United and obviously a few times for Madrid. "It's going to be special, it's always great playing against teams like that because you try and put yourself against the best teams and the best players. They're definitely the best." Inspired by superstar Lionel Messi, Barca proved its pedigree again when it routed Milan 4-0 in the return leg of their last 16 match, sending out another strong message to the rest of Europe after winning the competition twice in the past four seasons. "You saw in the last round where Milan won the first game 2-0 and people were talking about Barcelona's era being over. But anyone who knows them as a team and as individuals and players knew that's not the case," Beckham said. "Because they're not just about individual talent, they're about a team network and they've been like that for years. That's why they've had the success they've had."